Easily mount mailbox to any indoor flat surface. 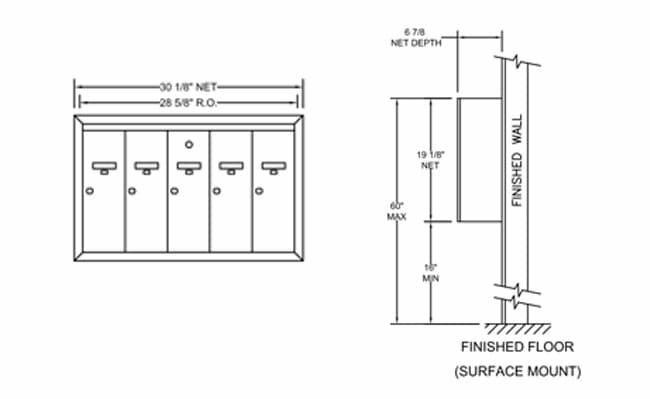 When your mailbox installation location has limited wall depth or walls that are covered in material which makes it difficult to cut a rough opening, the 1250 vertical series has a surface-mount collar option. This collar provides a sleek, finished look for the mailbox. 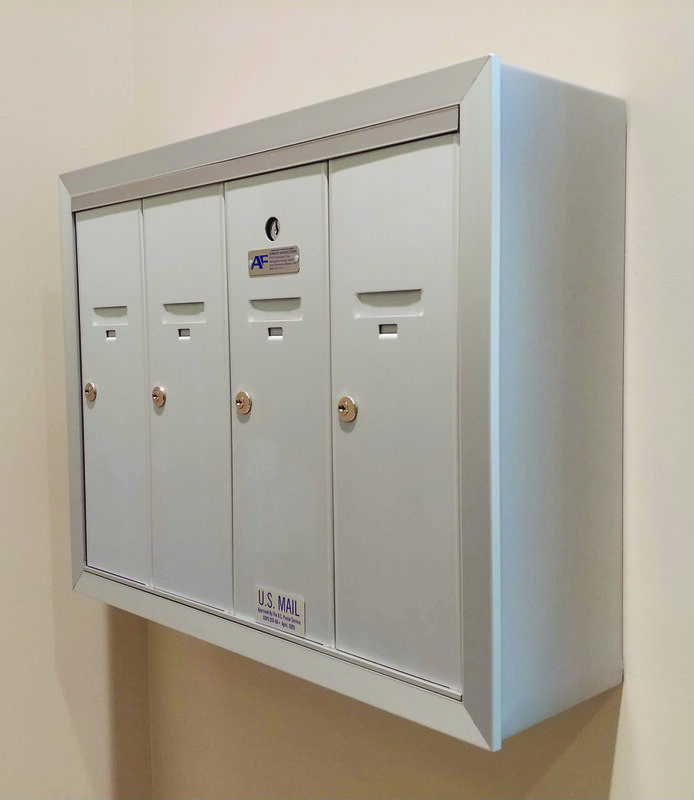 Anodized Aluminum is standard for all vertical mailboxes. Upgrade your installation to one of eight different architectural color options; all in a durable powder coat finish. Colors shown here may vary slightly due to variance in computer monitor. Powder coat reference samples are available by request.